This time of year, especially when we are getting single digit temperatures, it is hard to get motivated to get out on the water to try that favorite fishing hole. However, those who enjoy fishing know that now is the time of the year to be thinking about fish habitat for the season and future years. The Corps of Engineers’ office often gets asked whether placing fish attractors is allowed on Lake Lanier. The Corps allows brush-type fish structures (such as Christmas Trees) to be place in Lake Lanier as long as a permit has been issued. As with all other species of wildlife, fish require the proper habitats to survive. During the construction of Buford Dam and Lake Sidney Lanier, the majority of vegetation was removed from the top 40 feet of the lake. There is still standing timber in deep portions of the lake; however, habitats and structures are needed in the other depths as well. Fish use structures for protection, shade, spawning, and even to hide to catch prey. As recreation areas around the lake have been developed, the Corps has installed fish attractors to improve bank fishing for visitors. The Georgia Department of Natural Resources and private groups, plus individuals, have also completed various habitat improvement projects. When resources allow, the Corps organizes larger events that can involve the help of volunteers. All of these projects have benefited species such as bass, sunfish, crappie and catfish. A map of the designated areas that the Corps maintains fish attractors can be found at the Corps website. 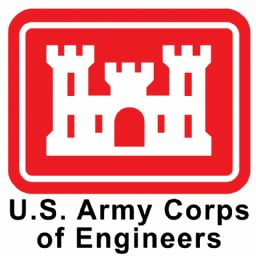 Obtaining a permit from the Corps of Engineers is simple and can be done at our Project Management Office located near Buford Dam on Buford Dam Road. The permit is free, but it does need to be picked up in person. The desired location for the fish attractors needs to be identified before the permit is issued. Please keep in mind that this permit does not allow for trees to be cut at the shoreline or bank and felled into the water. For additional information or if you would like to obtain a permit please contact our office at 770-945-9531.